David Glen, c. 1900, cocus and ivory. 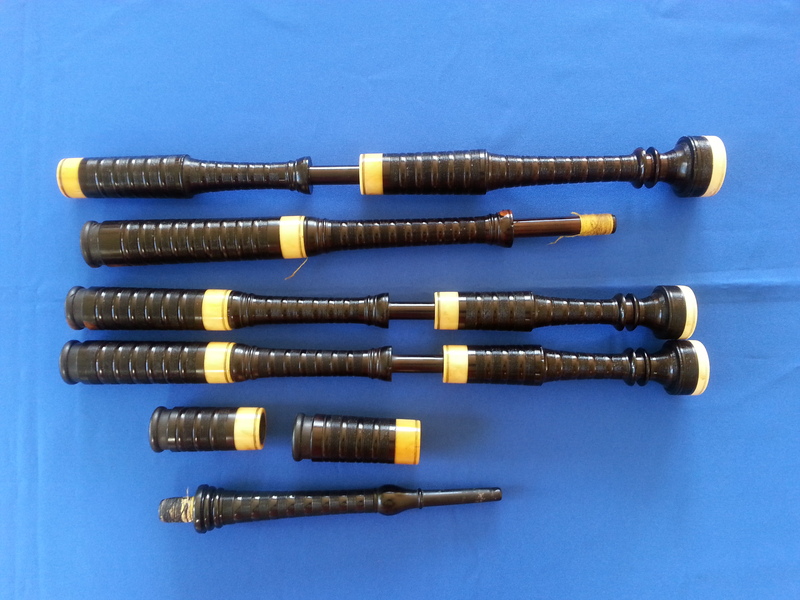 All parts original except for the blowpipe, which is a plastic addition. 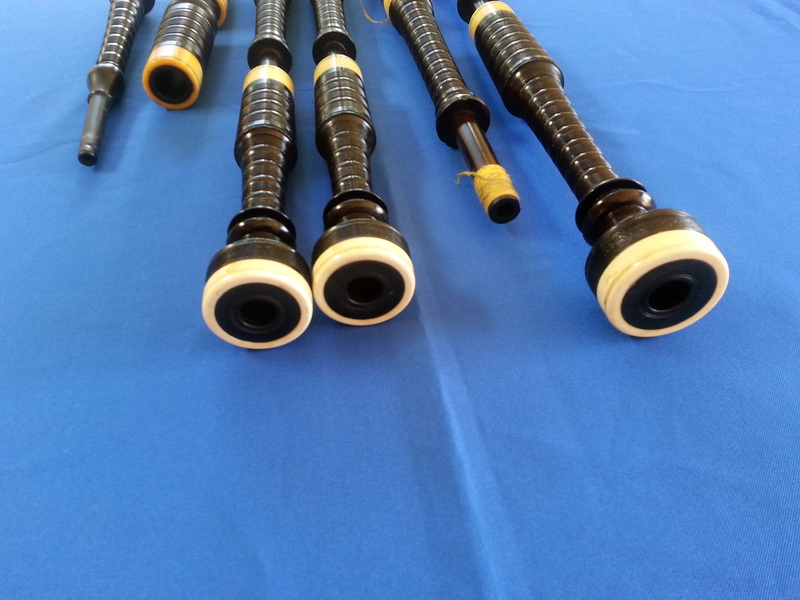 I have played these pipes from time to time because some days you just need to hear the “Glen” sound. I bought these pipes about 15 years ago and they were missing the ivory rings. 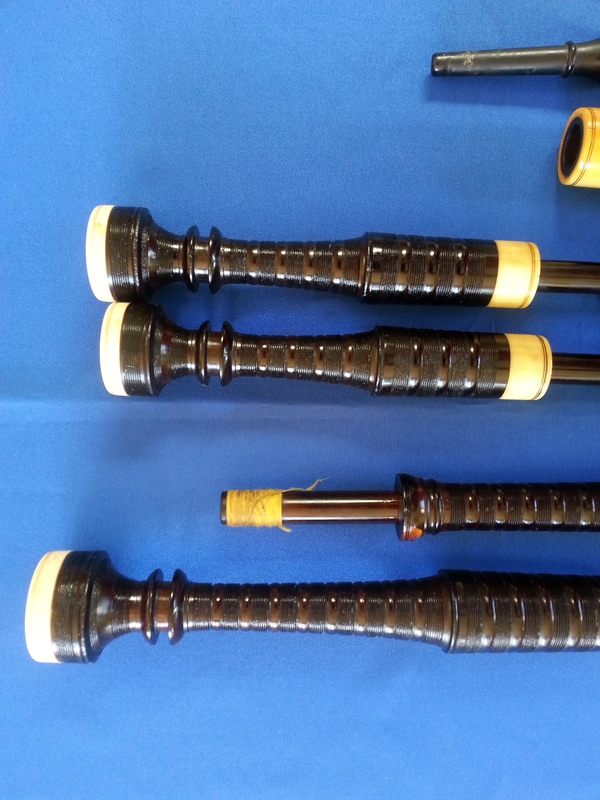 These have been added using legal ivory by Rick Pettigrew at Dunbar bagpipes several years ago. 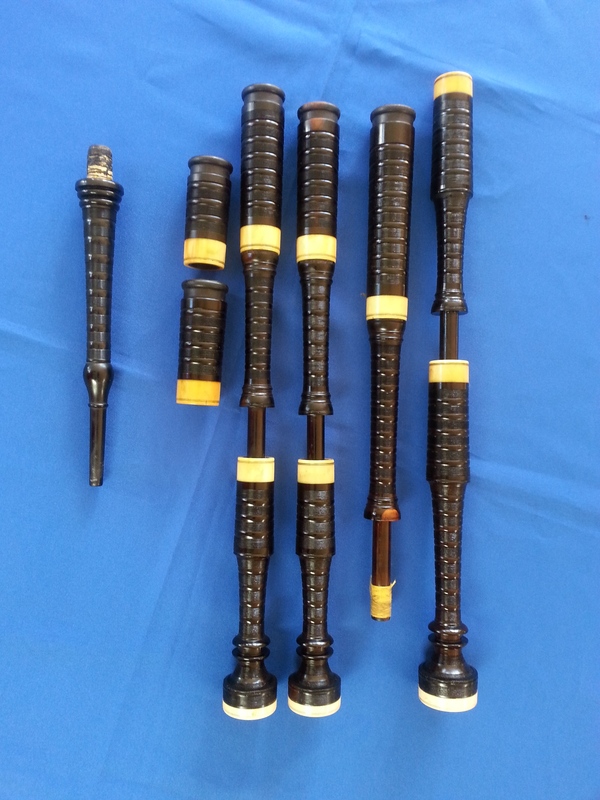 The combination of ivory ferrules and ring caps with wooden button mounts is rare, and the patina of the original mounts is quite pleasing to the eye. Price: 3400 dollars CDN, plus shipping.